The Pop Culture Grimoire (originally published in 2008) has just been re-released in print. We are also still looking for submissions for The Pop Culture Grimoire 2.0. I’m pleased to announce that our latest anthology: Bringing Race to the Table: Exploring Racism in the Pagan Community is now available for pre-order and will be published on January 23rd. Bringing Race to the Table: Exploring Racism in the Pagan Community is an anthology which explores the topic of racism and how it shows up in the Pagan community, as well as what we can do to discuss it and bring it out in the open. Each section of the anthology explores different facets of racism and how the Pagan community respond to it. Section 1: People of Color’s experience with Racism shares candid stories of how people of color have experienced racism in both subtle and overt forms, as well as how they have handled it. Section 2 Historical/Mythological Racism focuses on how Racism has shown up in mythological and historical contexts, as well as how it continues to show up in counter cultures. The final section: Being an Ally focuses on sharing suggestions and ideas on how white people can be better allies to people of color and how to be more aware of racism in both the Pagan and mainstream communities. Every so often, one of my authors will email me or instant message me and ask about something that has occurred on Amazon. Maybe they can’t find their book or maybe their book is being offered at a discounted rate, or maybe its something else. What they want is for me to solve the problem. 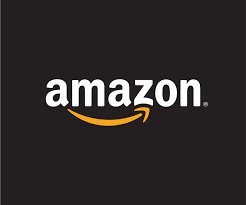 However what they don’t realize is just what a complicated relationship there is between Amazon and publishers. Actually that’s true of distributors and retailers in general. The following may shed some light on the realities of dealing with any retailer, as well as some specific aspects of dealing with Amazon. 1. Publishers make prices, but retailers can change prices. A publisher can decide that a book is worth $20.99 and that’s what the book will cost on the publisher’s website. It’s also what the book will cost if you buy it direct from the author. But if you buy the book from Amazon or some other retailer, you may note that the price is sometimes discounted. Sometimes the discount is small and sometimes its large. This discount can effect royalties authors receive. The publisher has little control over the discount, because the book is being sold by a third party. 2. Kindlelicious. Another service Amazon provides is Kindle. Publishers can sign up for different types of kindle accounts. For example, you can sign up for a kindle account where you only offer e-books through kindle or you can sign up for one where you offer e-books through other sites. Obviously Amazon prefers you sign up for a kindle only account. There are some features you will get with Kindle only, but its always a toss up because not everyone wants to use Kindle. 3. Subscription based reading is becoming a reality. Amazon has set up a subscription service where you can read over 70,000 titles if you pay a monthly fee. The books aren’t free (the subscriber is paying a fee) but you won’t get as much royalties as you’d like because its essentially a library. This will become more of a reality for the publishing industry and you can’t do much about it because the retailer is still paying you for the content. 4. Publishers print the books and ship them out, but retailers sell the books and hold the balance of power. Publishing has always been an industry where the retailer holds the power. The retailer is the middle person in the equation and as such is for the most part dealing with the customers. Publishers accept this because of the exposure books get, but also accept that as a result retailers set a lot of the rules for the relationship. Even if you self-publish, you still end up dealing with retailers of some type. For example, if you write a book and want to sell it, where do you go? Amazon, because you know amazon provides you an opportunity to get in front of your audience. But when you do that you also understand that Amazon is dictating the terms because you need them more than they need you. My point in writing this post is just to explain that while publishers can and will do their part to represent their authors interests, they nonetheless have to deal with the retailers and that relationship isn’t an equal one by any measure. Knowing that can help you the author understand why some things occur on amazon and other retailer sites.